Anthony and I don't have enough money to buy a Walt Disney World Monorail train or a Tron light cycle replica, so instead we're arguing about Into the Woods and pineapple pizza on today's Inside The Mouse Castle. The front portion of a Mark IV Monorail from Walt Disney World showed up on eBay last week...then disappeared before the auction closed. Bidding was to start at $169,000 (or you could have bought the thing outright for $260,000), but the item was pulled Sunday night with no explanation. An auction that is expected to go through will be held on May 2nd and it's super cool. 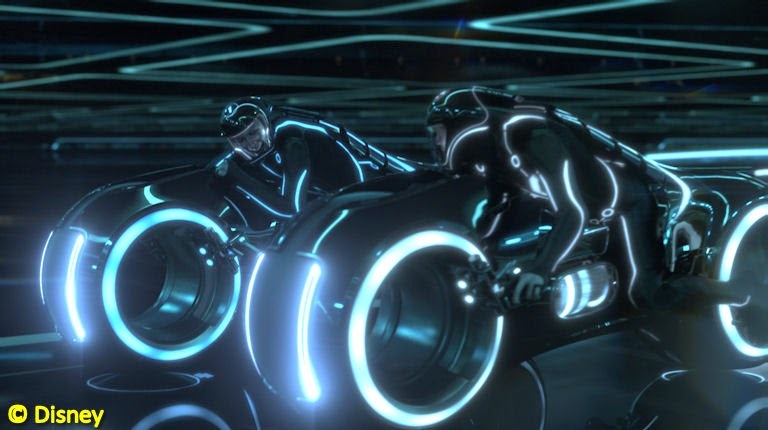 Get on the grid with a full-size, fully-functional replica of a Tron: Legacy light cycle. It'll only cost you $25,000-$40,000. You know you want to. A new book about Apple and Pixar visionary Steve Jobs, Becoming Steve Jobs, is out this week and includes a fascinating and touching story involving Disney chief Bob Iger. In January 2006, just a half hour before Disney would announce its acquisition of Pixar, Jobs shared some troubling news with Iger that threatened to cancel the deal. Jobs even gave Iger an out if he wanted it. Disney's CFO and senior executive VP Jay Rasulo sold $12 million in Disney stock last week. Was it just normal profit-taking or is Rasulo cashing out before leaving the Mouse? He's been working without a contract since January 31st and was recently passed over for the chief operating officer position that went to Tom Staggs. Mo'ne Davis made history last year by becoming the first girl ever to pitch a winning game (a shutout, no less) in the Little League World Series. Now, the Disney Channel is making a movie about her life. Throw Like Mo will be executive-produced by Debra Martin Chase and written by Sheldon Candis and Justin Wilson. Davis will act as a consultant on the film. Muppet Moments is a new short-form video series featuring Kermit, Miss Piggy, Fozzie and other Muppet favorites in casual conversations with young children. It premieres on Disney Junior April 3rd and yes, it's cute.